Last week, a sell-out crowd made their way to Oyster Partners to hear Ginny Redish talk about her recent work at a meeting of the UK chapter of the Usability Professionals’ Association. how using colour alone can flummox users with low vision who change those colours. But the bit that I want to concentrate on here is the variation on heuristic inspection that she presented. Why do we need a new way of doing heuristic inspections? ‘Heuristics’, otherwise known as ‘rules of thumb’, are guidelines for good design. It’s always been attractive to think: why go to all that complication of recruiting users and getting them to test our products when we could just have a good look at it ourselves? And so the idea of ‘heuristic inspection’ was born, and popularised by Jakob Nielsen and Rolf Molich. You select the heuristics of your choice and then you review your product to see if it breaks any of the rules. But here’s the dilemma: sometimes we need to review a product for usability in circumstances where usability testing isn’t an option. Lack of time, lack of budget, unwilling client: you name it. So an improvement on the heuristic inspection would be a great idea. Ginny introduced us to a new method of doing heuristic inspection that she has developed with Dana Chisnell (www.usabilityworks.com). 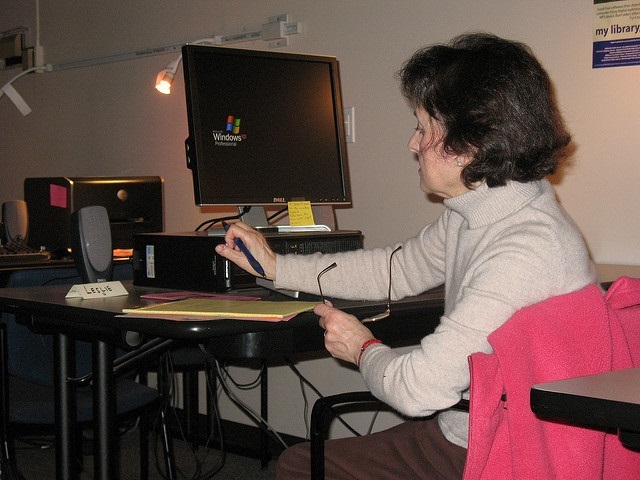 They’d done a lot of usability testing for AARP, the USA organisation for people over 50. But this time, AARP wanted a review of 50 sites, and they wanted it in time scales that made it impossible to run enough usability tests. So Ginny and Dana turned to personas for inspiration. Fortunately, AARP had a thoroughly-researched set of personas that described key segments of their audience. So Ginny and Dana chose two of them, and then visited the selected sites from the point of view of each of the personas. They reviewed each site as one of the personas, and took notes as if the persona had performed a ‘think aloud’ commentary on it. Then they went back and reviewed the pages visited and the comments to see if the site had conformed to or violated any of the heuristics. Why is the new method better?